The Tennessee Volunteers remain the No. 1 team in NCAA Men’s Basketball according to the latest AP Poll. They received 40 of 64 first-place votes and Duke University taking the remaining 24. Tennessee is 22-1 and 10-0 in the SEC. They unseated Duke, (21-2), who lost to Syracuse on January 14 and are now 9-1 in the ACC. 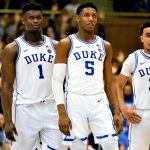 While they hold the top spot in the second week of February, it is Duke that is penciled in as the top seed based on projections. Their “easier schedule” ahead gives the Blue Devils the edge, according to committee chair Bernard Muir. 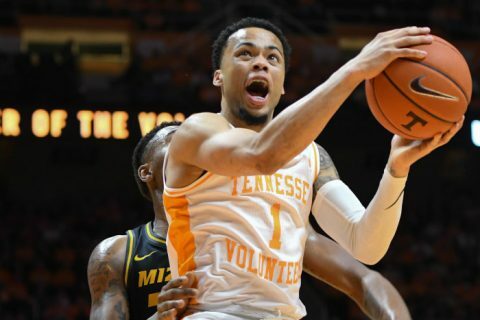 Duke may have the more star-studded lineup, but Tennessee has displayed admirable consistency so far. Both teams will be strong contenders once we begin to feel the heat of March Madness, which by the way, is just around the corner. 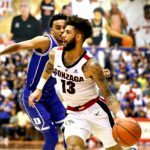 The Gonzaga Bulldogs are third in the poll with Virginia and Kentucky rounding out the top-5. 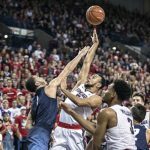 It was a step up for the Zags after Virginia suffered their second loss of the season this week. Duke maybe favorites right now but we’ve heard many a sad tale of how favorites have fallen to upstart once the brackets are actually set and the knockout rounds are in full swing.